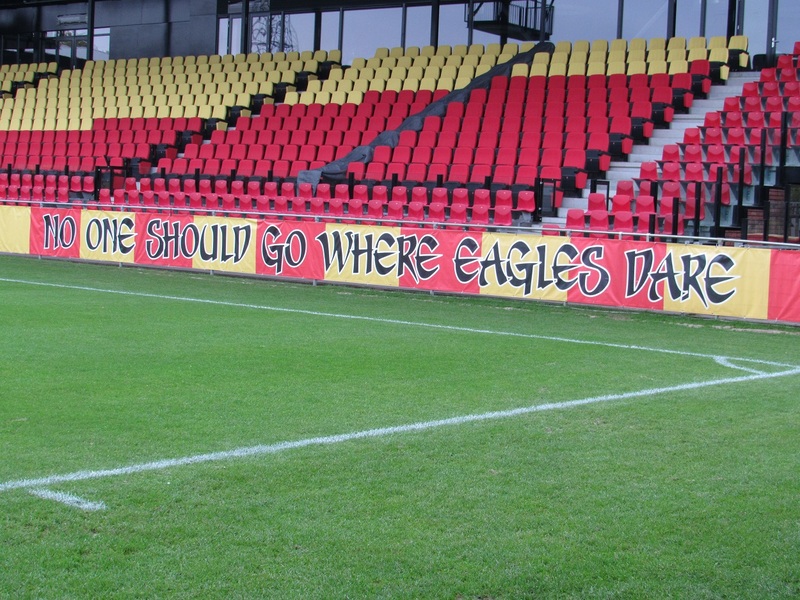 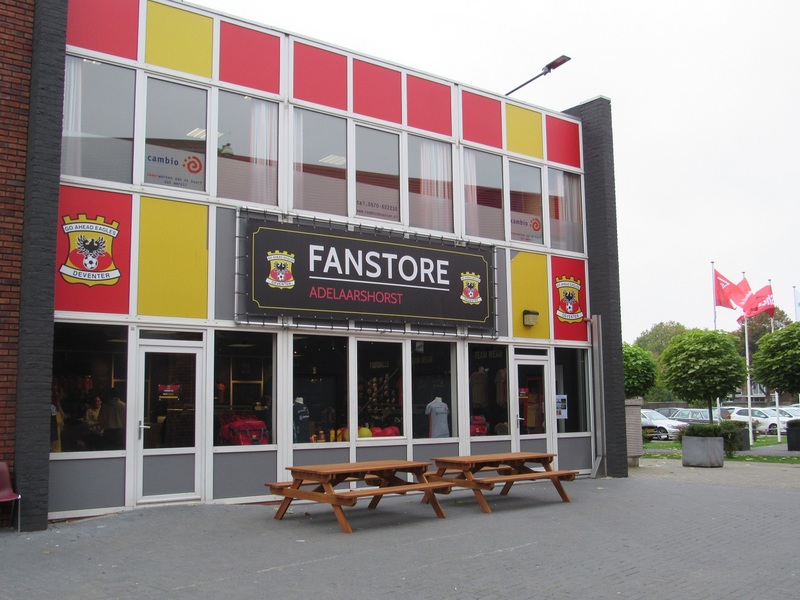 "No one should go where eagles dare" is a song by Iron Maiden but also one of the beautiful banners by the Go Ahead Eagles from Deventer, playing their games in the beautiful Adelaarshorst. 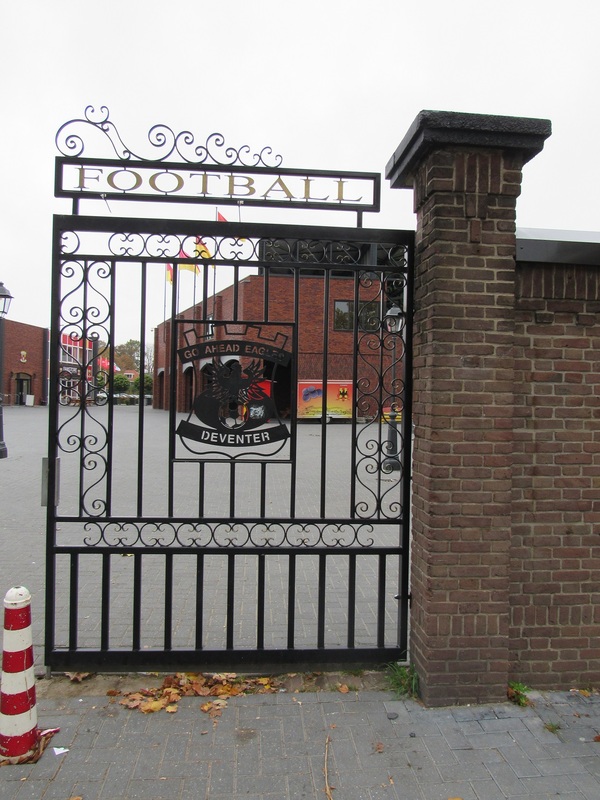 The club was found in 1902 and won the national championship 4 times (1917, 1922, 1930 and 1933). 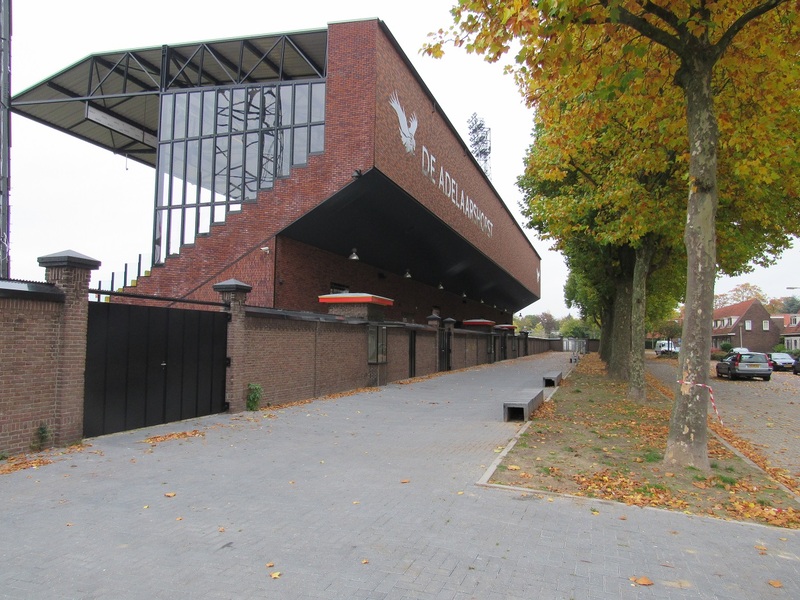 Since the 60's, the club always played in the 1st or 2nd division and they even managed to reach the European Cups a few times in their past, of which the 2015-2016 campaign was the most recent (Ferencváros, 1-1, 1-4). 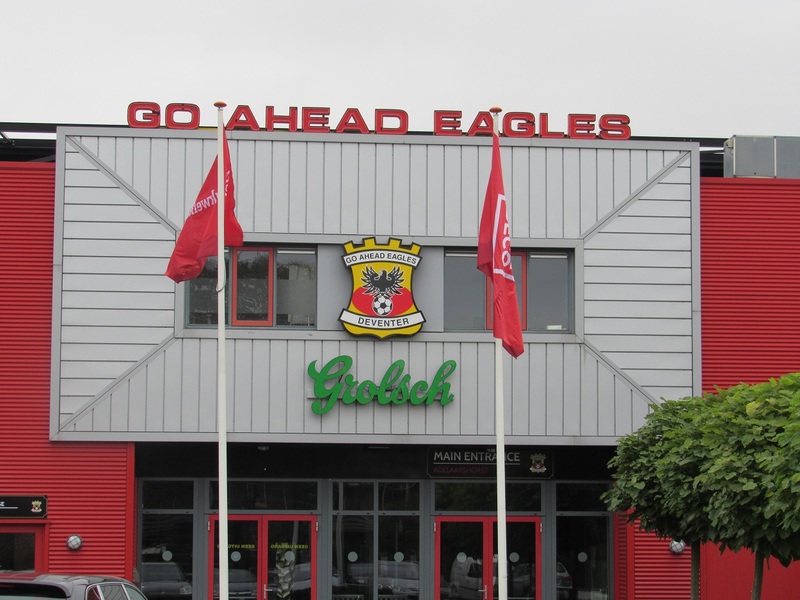 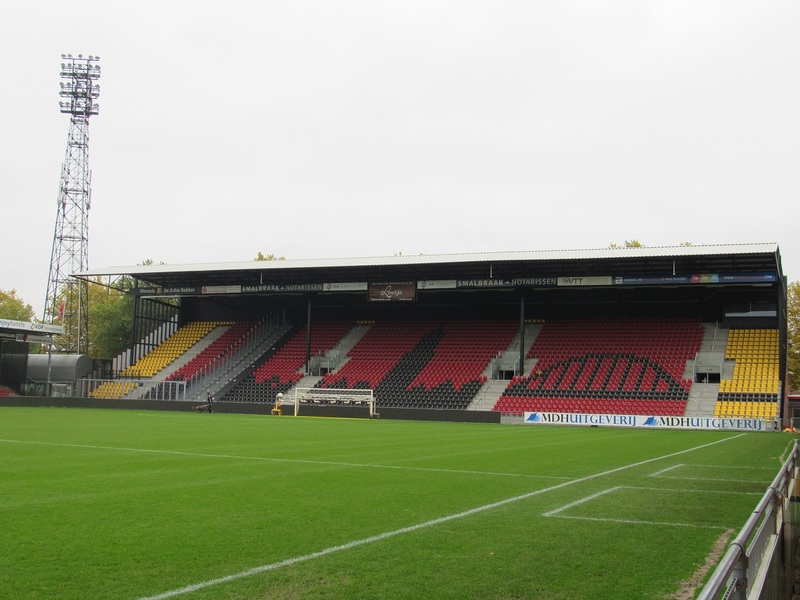 The Eagles play their games in the Adelaarshorst, which is built in 1920. 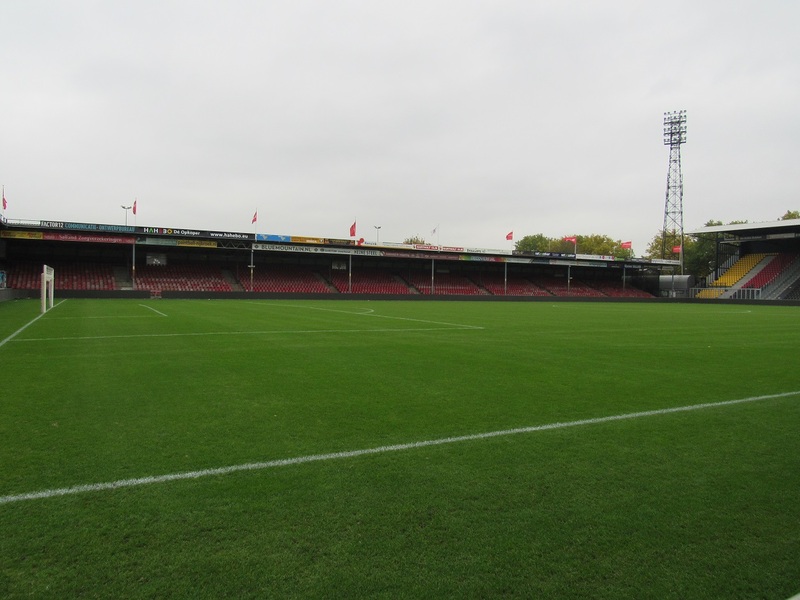 The ground has been renovated a few times, but it still looks great. 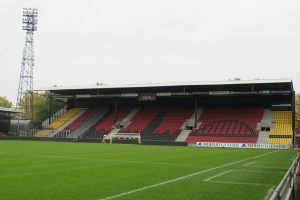 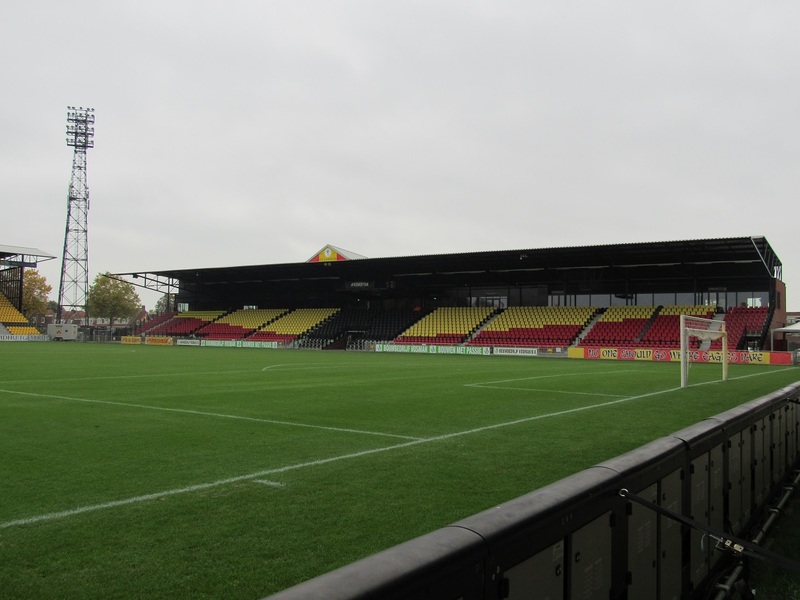 The ground is in the center of a residential area and the stands are close to the pitch, which makes the ground looking like one in England. 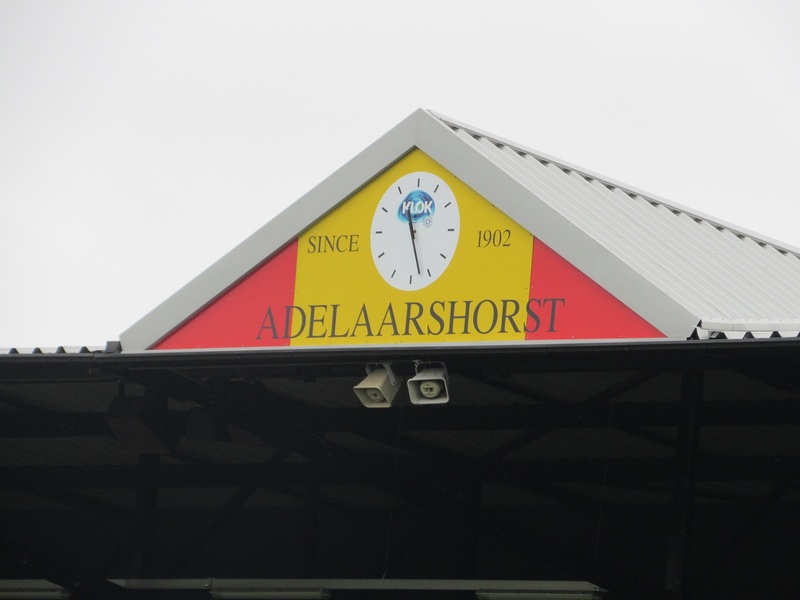 The record attendance in the Adelaarshorst was in a game against Celtic FC, as 25.000 fans visited this game. 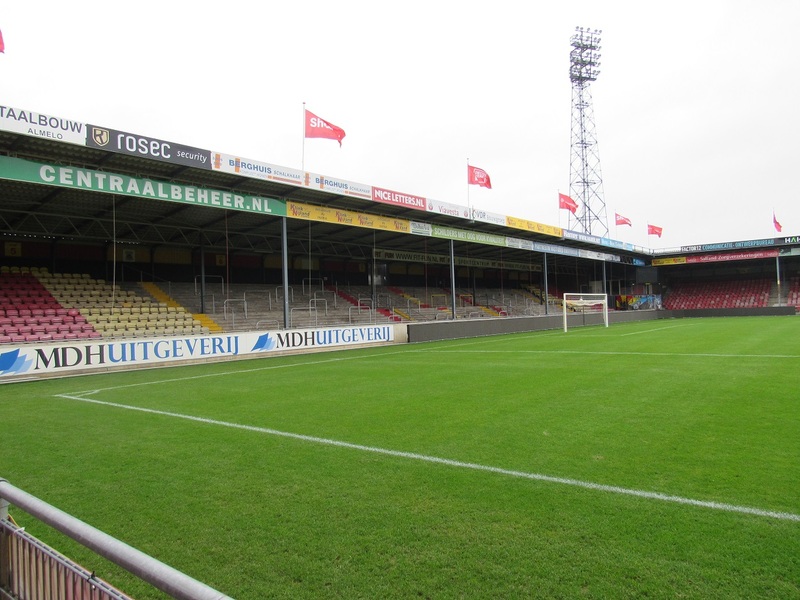 Nowadays the ground can only hold 9.800 fans, but it's really worth the visit!